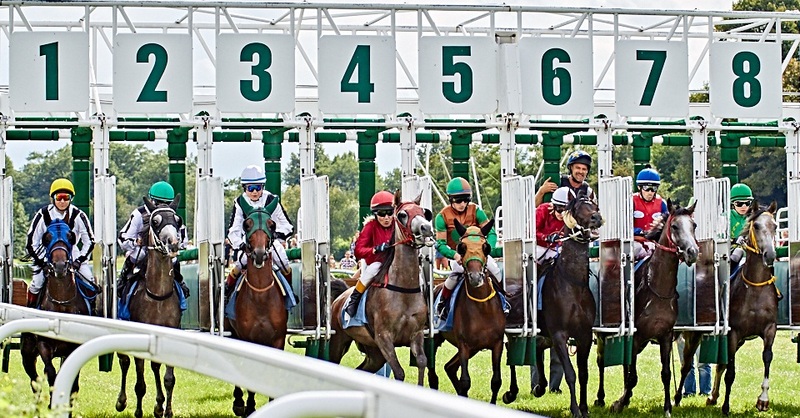 A fancy charge of 100 Polish Uhlans, the most exciting horse race of the season and ladies’ fashion day - Wroclaw Partynice Racecourse is hosting a big celebration event on 10th of June. The program includes very prestigious horse races, as well as many attractions, such as musical performance, fancy dress competition, vintage carriages and cars exhibition and horse vaulting show. It all will be preceded with the Uhlans parade through the streets of Wroclaw. 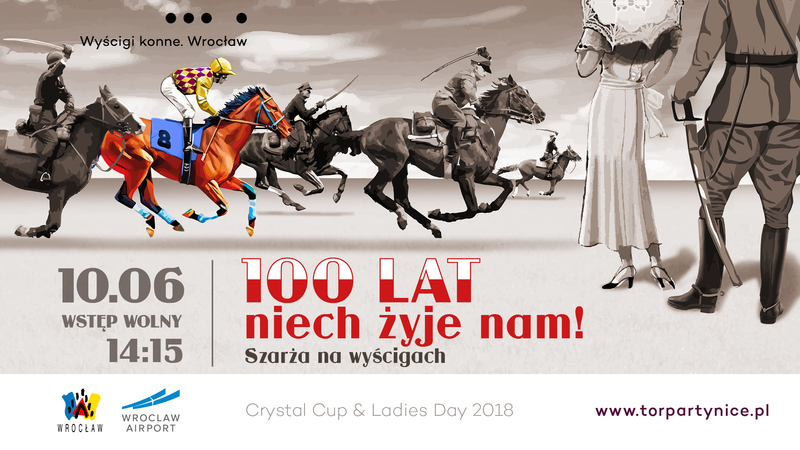 ,,This will be a special day for the history of Wroclaw - one hundred Polish Uhlans on one hundred horses will celebrate the 100th anniversary of National Independence in a fancy cavalry charge” – says Jerzy Sawka, Director of Wroclaw Racecourse. The cavalry men will come to Wroclaw from different regions of Poland. They will represent the interwar era: their uniforms and horses’ saddles will reflect the historic background. It will be all made according to tradition. On Saturday, 9th of June, the horse cavalry will form a column of 100 horses and, along with the 4-horse carriage and historic 1939 Citroen T23, march through the Market Square (Rynek) to Wolności Square. There, the official defilade will take place and the report will be received by the President of Wroclaw, Rafał Dutkiewicz. This day will be the most important one of the 2018 season at Wroclaw Racecourse in terms of sports events importance. There will be 7 races, including 5 international ones – hurdle races and steeplechase. The most prestigious race of the season, The Crystal Cup European Cross Country Challenge, brings together the finest international horses and riders to reward the most successful stable in cross country steeple chasing. The horses will race at 5500 meters distance with 26 hurdles, including a very spectacular parade stand jump). Total fund prize is 175,000 PLN. Traditionally, The Crystal Cup will be accompanied by Ladies Day – the celebration of chic, elegance and fashion, surrounded by an incredible atmosphere of horseracing. This year, the promoters encourage to visit the racecourse in special outfits – a fancy dress competition has been announced. ,,The best dressed person will win a trip to Paris – flights, hotel and a ticket to the racecourse, Hippodrome Longchamp, so they can see the Prix de l'Arc de Triomphe.” – says Jerzy Sawka, Director of Wroclaw Racecourse. Along with retro fashion, many other attractions will create a great a very special atmosphere, There will be an exhibition of vintage cars and carriages, and a special streetcar ,,Jazz Tram Vertigo” (with live music!) will be running to the Racecourse, operating on Sunday between 1:00 and 4:00 PM. Two 4-horse carriages will ride on the racetrack: during the opening parade and before the final cavalry chargé. The second time, a singer from Capitol Music Theatre - Emose Uhunmwangho - will perform, and the chosen songs will be kept secret until last minute. Cars will not be allowed to park at site on that day. The available parking space will be either by the racecourse (ul. Zwycięska), or by Auchan, Bielany Wroclawskie. Designated buses will operate throughout the day, taking passengers from Krzyki Pętla and Auchan Bielany from 1:00 PM to 9:00 PM. The buses’ route: Auchan - Tor Wyścigów - Pętla Tramwajowa Krzyki - Tor Wyścigów – Auchan. From the city centre: trams 2, 6, 7 i 17 to Krzyki Pętla, then buses 113, 612, 852, 862, 872, 892 (bus stop: Wrocław Partynice). From the Coach or Train Station: buses 862, 113,112.